During the summer, black women struggle with having the right fit or perfect hairstyle specially for short hairstyles for Black Women. Going natural is a solution to the problem of finding the best hairstyle. Furthermore, it saves on the costs as well as the maintenance. It also keeps you looking good and fresh. In addition, going natural enables black women to appreciate their beauty and nature, thus be unique. Your hairstyle becomes the part of your identity, so use the following recommended hair styles to enhance your look and appear glamorous at all time. Mohawks & Fauxhawks– This will never go out of fashion. These hairstyles represent the perfect black woman who is bold to use her hairstyle as a form of self-expression. The best part is that both these hairstyles can be trimmed according to personal preferences, thus each one can be unique in its own way. Twists– This short hairstyle for black women requires a lot of caution in order to keep them fancy and elegant. Once you get the twists right, you will love the look every moment. They also make you feel young and fresh. Finger coils– They are ideal for women who want to try out with different textures. They are an excellent idea for you if you want to try a texture that matches with your skin tone. Protective updos– This hairstyle is ideal for woman who wants to protect the delicate structure of their short hair. The style keeps your hair looking moist and fabulous. 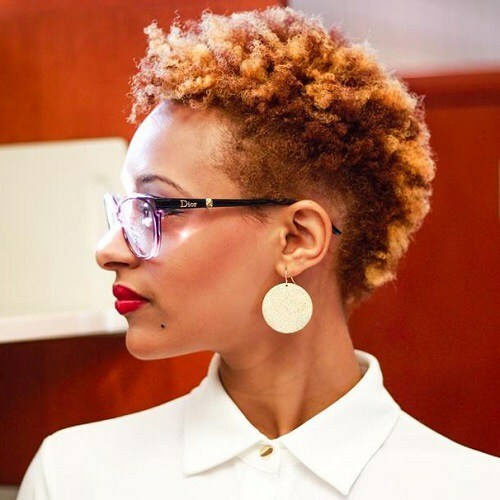 Puffs– These hairstyles provide a suitable substitute for the common bun and goes well with any African American woman. The best thing about this hairstyle is that it gives you a chance to style it on your own and come up with the something really eye-catching and exquisite. This is ideal for every woman who is sick of the normal wash; the style fits along personal hairlines and is super easy to set up. 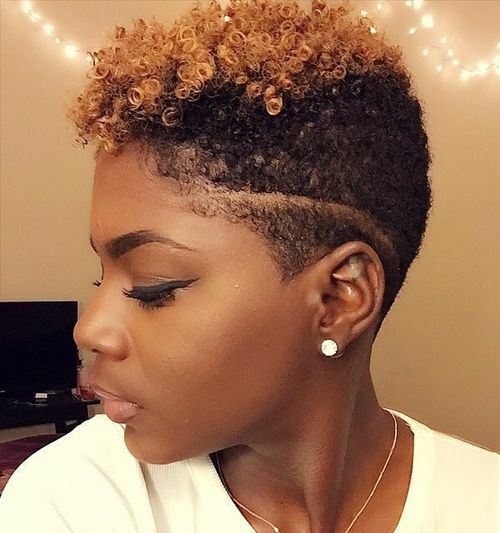 This should be your first look if you are still skeptical about wearing short natural hair. This gives you something new from the normal curls that you have been rocking. 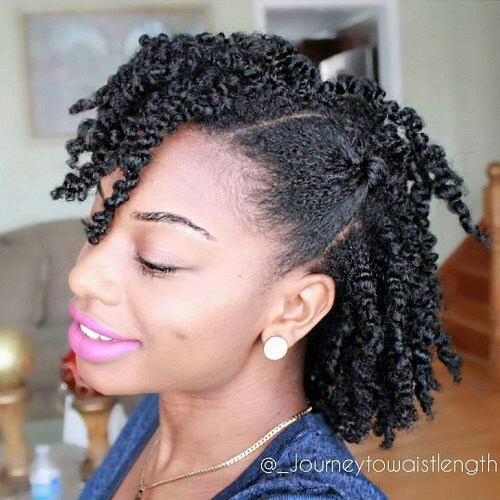 The gorgeous twist out will keep you looking glamorous. 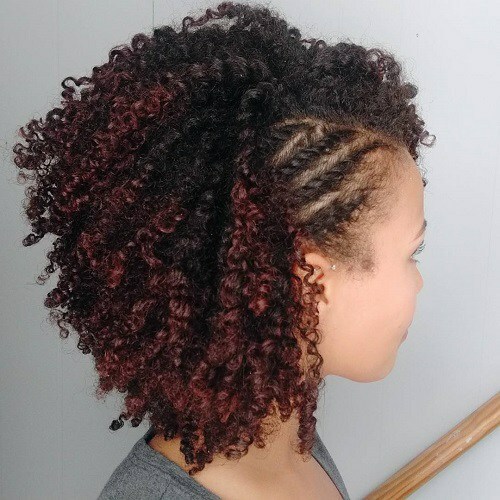 Many stylists recommend this hairstyle as an instant solution to the problems that you have been experiencing trying to maintain your natural hair. This classy hairstyle helps you to embrace the texture and short hair. Adding caramel texture or any other to the natural short hair gives you a highlight thus making the big difference. You should experiment with different colors and find the best look for yourself. This style also enables you to experiment with your look and find the best short haircut style as a black woman. Remember, it is all about experimenting and finding the best color that matches your skin tone and preferences. You can maintain the cut regularly to present the highlight and keep looking fresh. These are the ideal short hairstyles for black women who maintain busy schedules but want to look exquisite at all times. The styles are trendy, easier to moisturize with natural hair conditioning products and fashionable. They also help you to beat the costs of regular hair maintenance since the maintenance can be done using homemade conditioners. You can make your homemade hair conditioner using local and basic products, which are available in your local stores. So go out and look fabulous rocking the short hairstyles that are recommended. Remember, the tip to maintaining short hairstyles for black women is to keep trying and experimenting until you find your perfect match. Do not be afraid to carry out any change. Just be confident with any hairstyle that you are sporting.